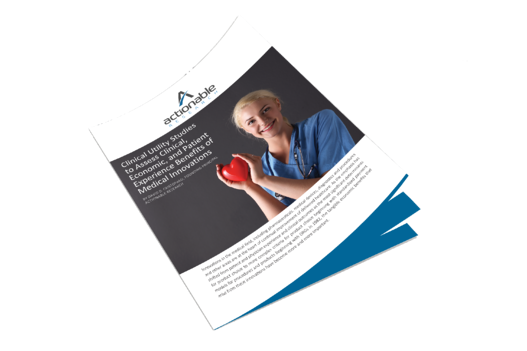 Download Our Clinical Utility Study Now! One of the biggest hurdles faced by medical device and healthcare products companies is the need for data - data that is cost effective, while gathered with a degree of rigor that is convincing to their audience. Start on your way to instituting a plan to bring your customers and sales team the proof they need to increase acceptance of your innovation's true value.